Fern V. Allan, 100, of Duluth, passed away peacefully with family by her side, Friday, August 24, 2018. She was born on November 6, 1917 to James and Lillian Jamieson in Duluth where she continued to live her entire life. She was a 1936 graduate of Denfeld High School. Fern was united in marriage to Earl Allan on June 3, 1939 and together they had six children. Fern was a homemaker with an inviting and inclusive personality. Family was most important to her; she enjoyed hosting family gatherings and always said “the more the merrier” while making certain never to run out of food. Her wonderful sense of humor and laughter brought much joy to those who knew her very well and to those who were meeting her for the first time. 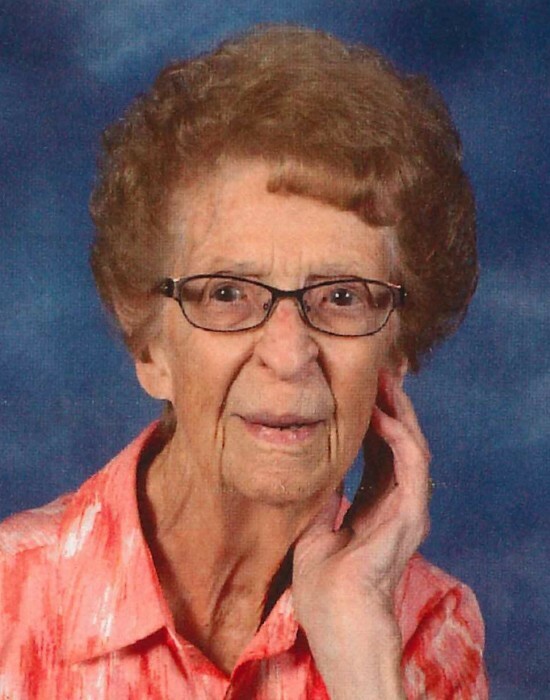 Fern was a very social person belonging to various luncheon clubs, sewing club, craft club and the American Legion Auxiliary. She also gave much of her time and talents to volunteering and helping others. She was nominated in 2007 for the Duluth Hall of Fame Award, recognizing outstanding lifetimes of volunteer service in the City of Duluth. She also received a volunteer award from the President of the United States. Fern had a great love for all genres of music. She participated and competed with a vocal chorus group. She was an avid reader and a master of the Daily Crossword and Jumble puzzles. Her faith was very important to her. She was a long time active member of Good Shepherd Catholic Church where she participated in the Women’s Circles and Choir. Recognized for wearing stylish hats to church on Sunday, she soon became fondly known as the “hat lady”. She is currently a member of St. James Catholic Church. Fern will be dearly missed by all of her family and friends who knew her. She was preceded in death by her parents; husband, Earl; daughter, Murita Kratt; son-in-laws, Robert Kratt and Ronald Johnson; 2 brothers; and 1 sister. Fern is survived by her children, Janet (Jim) Kunz, Barbara (Mike) Malm, Richard (Carol), Bonnie (Terry) Anderson; Larry (Gloria); 19 grandchildren, 28 great-grandchildren; numerous, nieces, nephews, family, and friends. The family would like to thank the staff at North Shore Estates for the wonderful care and assistance they provided to mom. Visitation 5-7PM, Friday, August 31, 2018 in Williams Lobermeier Boettcher Funeral Home, 3208 W 3rd St, Duluth, MN 55806, visitation will continue from 10AM until the Mass of Christian Burial beginning at 11AM Saturday, September 1, 2018 at St James Catholic Church. 715 N 57th Ave W, Duluth, MN 55807. Burial will take place at Oneota Cemetery. Memorials appreciated to St Jude, Damiano Center, Salvation Army, Second Harvest Northern Lakes Food Bank or donor’s charity of choice. Arrangements by Williams Lobermeier Boettcher Funeral Home, 218-624-1059.